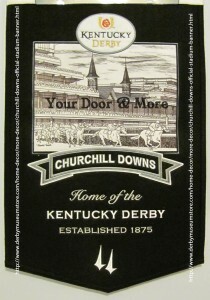 Churchill Downs in located in Louisville Kentucky. The original property was owned by Colonel Meriwether Lewis Clark Jr. and leased in 1874. There were former 2 closed race courses in Louisville. This location was ideal, beside the railroad, for easy horse transport. The track was nearly 2 miles, but shortening the track to 1.25 miles or 2km and adding the signature spires, brought the location to the forefront of racing standards. The public adored the signature event that was the first Saturday in May. The world focuses it’s attention on women’s fashion (especially the hats) and the championship race horses. This event is marked with history, pomp and circumstance. The track is used nearly year-round, including the running of the Kentucky Oaks, concerts, food events, training sessions, educational classes and hundreds of other horse races. Question: Have You Ever Drawn Animals?